When it comes to WordPress SEO, there are plenty of plugins and add-on’s out there to make your job easier. One of the most highly recommended is YOAST. But the question is, just how easy are those tools to install and setup for the novice WordPress user? YOAST is one of the most highly recommended search engine optimization plugin’s available today. 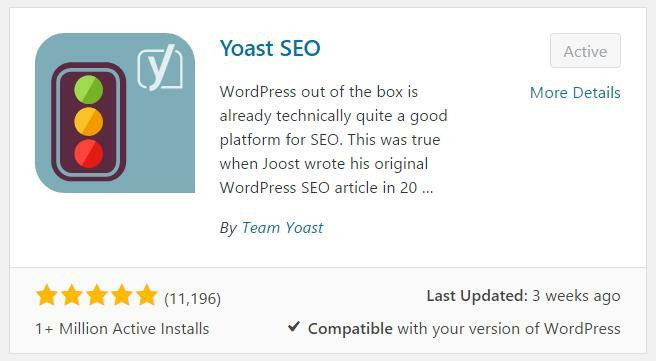 Without knowing how to properly install, setup, and use this plugin, however, the benefits of YOAST for WordPress SEO are lost. So today, I want to talk a little bit about the YOAST plugin and how you can make it work for you. Installing YOAST is a simple process if you are familiar with WordPress plugins. Simply log into your WordPress dashboard, select “Plugins” from the left side panel menu, and choose “Add New”. This will take you to the search page for WordPress plugins. On the search page, move your cursor to the search box on the top right of the page and type “YOAST”. Hit “Enter”. The first search result that is returned should be YOAST SEO. This is the plugin that you want to install, so go ahead and select the “Install Now” button. You will now be guided through the installation and activation of the YOAST SEO plugin. Installation is Easy…But Now What? WordPress SEO with YOAST can be deceptively easy if you don’t know what you’re doing. Many inexperienced users are under the impression that all they need to do is install and activate the plugin and YOAST will take care of the rest. That simply isn’t the case. To properly optimize your WordPress SEO, you have to implement the right global settings as well as fill in the appropriate fields each time you make a post on your blog. The first step to take after installing and activating your YOAST plugin is to set your global settings. That is, the settings that reach across the many pages and posts of your blog as a whole. Global YOAST settings play an important role in your overall WordPress SEO. If you find yourself lost at this point, it’s better to hire someone who can complete your setup properly than to try and fumble your way through it and suffer the long-term consequences of SEO penalization. The next step in configuring your global YOAST settings is to run the YOAST setup wizard. Users often think that this is the only step they need to take to optimize their WordPress SEO – a common misconception. The YOAST configuration wizard will set up the most basic settings for the plugin, but it will do little to optimize your site. With that said, it is still important not to skip this step. From the YOAST global settings dashboard, select the “General” tab. Now select the button titled “Open the configuration wizard.” Follow the on-screen steps to complete the basic configuration process. 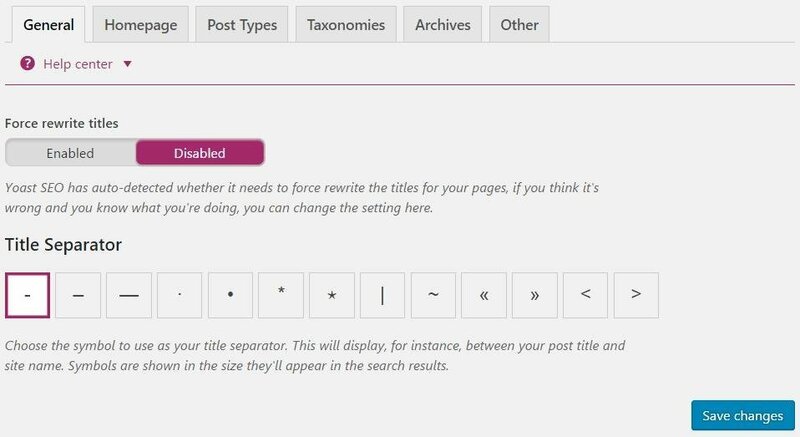 The next step in the general setup process is to enable or disable the YOAST features for your blog. Once again, start from the YOAST global settings dashboard. Now select the “Features” tab. From this panel, you now want to select your preferred global settings – do you want to remove the readability tab from the metabox? Do you want to remove the keyword tab from the metabox? Do you want to enable site-wide advanced settings? The settings you choose in this panel should be catered to your website and your SEO needs. Beginning, once again, in the YOAST global settings dashboard, select the “Company info” tab. This section will determine how search engines view your blog – as a company or individual. If you completed the configuration wizard, this section will likely be filled in for you already. 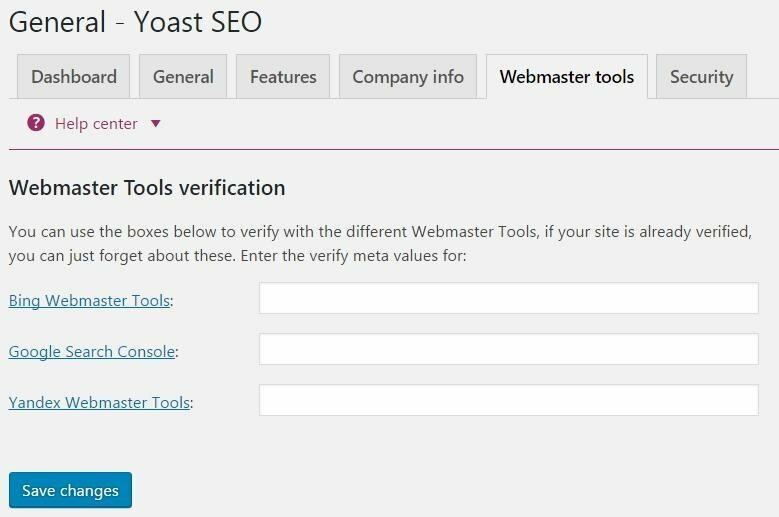 From the YOAST global settings dashboard, select the “Webmaster tools” tab. Here you are presented with three webmaster tool verification boxes. Make sure to enter the meta values for these tools if you want to verify your site with them and save any changes you make. Back in the YOAST global settings dashboard, select the “Security” tab. 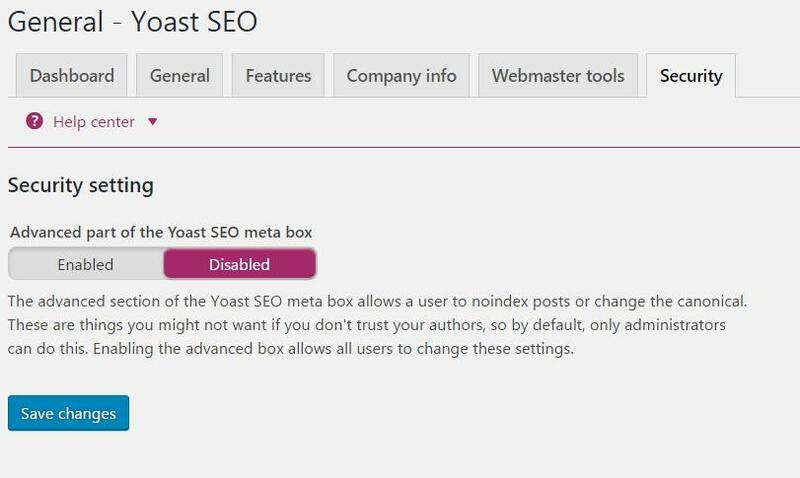 From here you want to enable or disable the security setting for the advanced part of the YOAST SEO meta box. Save any changes you make here. 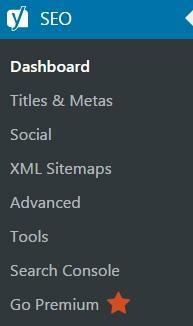 On the left side panel of your WordPress dashboard under the SEO option, you will see a “Titles and Metas” option. Select this option. This is where you are going to set title separators, force your titles to be rewritten, edit titles for the post and page templates, edit meta descriptions for the post and page templates, edit keywords for the post and page templates, edit taxonomies, edit archive settings, and setup site wide meta settings. On the left side panel of your WordPress dashboard under the SEO option, you will see a number of other selections. Under the “Social” option, you will need to set up your social networking profiles for Facebook, Twitter, Pinterest, and Google +. Under the “XML Sitemaps” option, you will need to create your site’s sitemap and optimize your site’s sitemap settings. Under the “Advanced” option, you will now have the option to enable or disable breadcrumbs, change your permalink settings, and edit your RSS feed settings. Finally, under the “Search Console” option, authenticate your site with Google and set up your search console profile. If you followed the setup wizard, this section will likely be setup for you already. If this section is not set up already, do it now. In addition to setting your global settings for your WordPress site, it is just as important to set up your individual pages and posts. This is a tedious but crucial part of your WordPress SEO success. Begin the process by going through each of your WordPress pages. 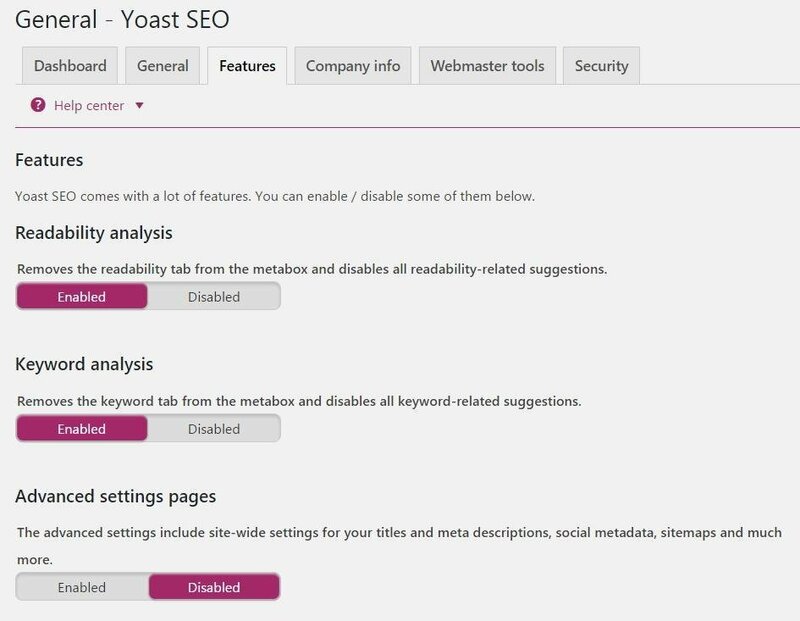 On each page, scroll down to the “Yoast SEO” drop down section under the text area. Expand this section. From here, fill in your “Focus keyword”. This is the word you want to optimize this page for on search engines. This section also features an “Analysis” which will let you know how successful your post is going to be in terms of SEO criteria. The aim is to have all “green lights” for your “Analysis” section. You also need to setup the SEO title and snippet. This determines the title and text snippet that are going to be displayed on search engines when your page shows up in search results. The process for WordPress SEO settings for your pages and posts is the same. Each time you fill in these fields, you want to optimize a single keyword or phrase without repeating these terms. Does WordPress SEO Have to Be So Complicated? YOAST is one of the best plugin options for optimizing your website for search engines, but no one said that it wouldn’t require legwork on your part. In order for YOAST to be optimally effective for your site, it is important for you to complete each of the steps mentioned above. This can be a time-consuming and somewhat tedious process, however, so how can you make it easier? Drop me a line . As someone with plenty of experience with YOAST installation and setup, I am always available for consultation to help you to get the most out of your WordPress SEO optimization.